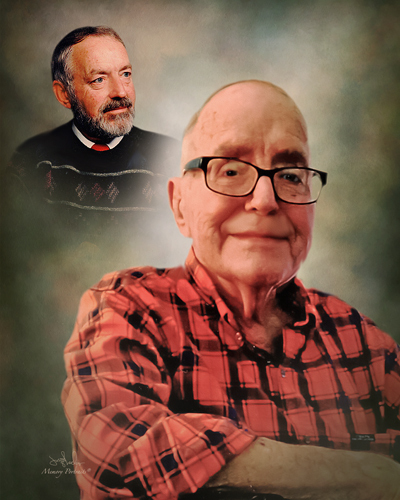 Charles Michael (Mike) Bee, 85 of Effingham IL and formerly of Alma, IL passed away at 5:23 pm on Saturday, March 23, 2019, at Sarah Bush-Lincoln Hospital in Mattoon, IL. Mike was born on September 29, 1933, in Alma, IL the son of the late Charles O. and Agnes “Billie” (Crooker) Bee. He married Ferne Prather on March 28, 1953, in Edgewood, IL and she survives. He served in the United States Army during the Korean War. Mike attained a bachelor’s degree from Southern Illinois University in Carbondale. Mr. Bee was a carpenter by trade and built many area homes. He later became a real estate broker in Mt.Vernon, IL where he owned and operated a Century 21. Mike enjoyed building and flying model airplanes and the smell of a good pipe tobacco. In addition to Ferne, Mike is survived by two daughters; Mariann Michelle (Robert) Newton of Panama City, FL and Rachel Lynn (Roger) Beck of Effingham, a son; Charles Mark Bee of Champaign, seven grandchildren, Adam Bee, Michael Bee, Jessica Peters, Emily Newton, Jordan Beck, Nicholas Beck and Lindsey Beck, four great-grandchildren, two sisters; Margaret McGrady of Gillespie and Barbara Seigmund of Centralia.